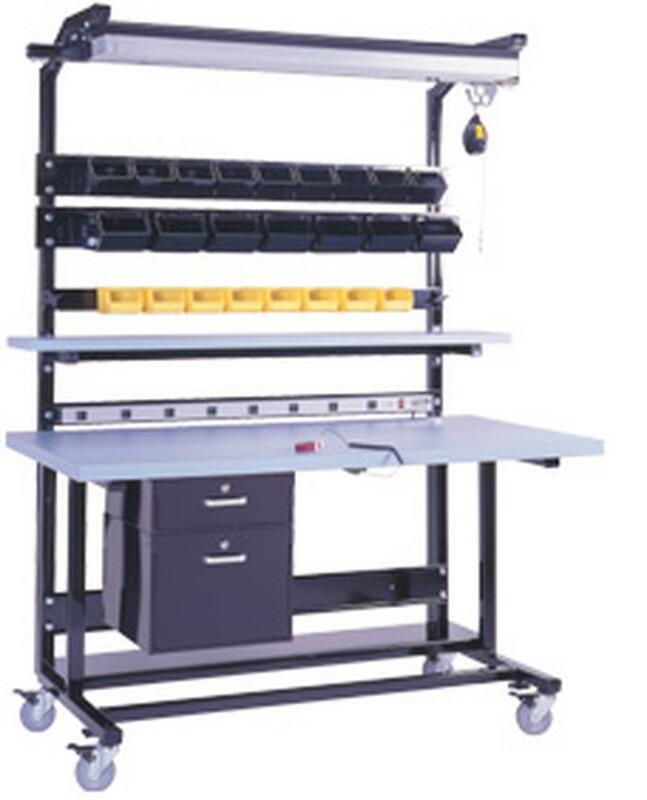 The (8) outlet electrical strip with mount rail will mount to any of our workstations with an overhead structure. This strip mounts to a standard bin rail and measures 48" long. All strips have a built in fuse and are wired with a 6' cord to plug into any standard wall outlet.